We offer in-depth SEO services that will get you ranking higher. Blue Ridge Technology can help you improve your business’s online visibility, rank higher in the search engines, generate more leads, and increase sales by offering affordable search engine optimization services. Our SEO approach is detailed and strategic so you can be found online more easily. Good question! Google has to love you and your content and this relationship takes time; it’s definitely not love at first sight, unfortunately. Getting your business on the first page of Google or Bing does not happen by accident or luck and it’s not a guessing game. Search engine optimization, or SEO, is a careful strategic process in which we study your company, your competitors, current trends, relevant keywords, updated algorithms and search engine requirements to get your company ranking higher and maintaining effective long-term reach to potential clients. Getting on the first page of Google requires a stunning website, fresh content, and strategically-placed keywords and we can help you get there! So what is the process of getting on the first page of Google? There are a couple of search engine optimization techniques you have to get right if you want to see your business ranking on the first page. When it comes to getting ranked by the search engines, content is king. We can help you produce content that you and potential clients will love; content that will generate traffic to your website and to your business. Content is the most important component of your website. While it can be easy to make a beautiful website with today’s technology it is difficult to produce a high quality website and this is what the search engines are looking for. The quality of your content will determine whether customers will return to your website in the future and if they will become or remain a customer. Content quality will also determine how searchable you are on the web and in the top search engines. For a website content is anything from articles, blogs, graphics, audio, and video graphic information that shows what makes your company, products, and services valuable and set apart from your competitors. It provides your clients with the information they want and expect. The end goal of your content is to promote your business and your brand and increase visitor engagement. High-quality content for your website will produce both short-term and long-term results that generate leads and makes Google happy. Maybe even more important than the aesthetic look of your website is the architecture. How you structure your website can make a huge difference in how it ranks in the search engines and it cannot be random; it requires a well-planned strategy to enhance SEO. Once we determine your company’s strategic keywords, we make sure each of your pages are dedicated and built around each one. We will create back-links using anchor text to each page and this is extremely helpful for good search engine rankings. Calloway Computers stays on top of current trends for search engine updates and we can make sure your website is configured perfectly. For on-page optimization there are certain guidelines you have to follow that are extremely important to search engines and will affect how your website will rank. Components to consider are your titles, descriptions, headings, content, how many words are on the page, alt tags or alt attributes, images, internal linking, external linking, authority links, and videos. You also want to make sure you request indexing with Google to make sure they are crawling each page. Each page of your site will be optimized on its own and we can make sure it is done correctly. Off-page optimization can improve the position of your website in the search engine results page (or SERPs), and is just as important as on-page optimization. While on-page optimization focuses on fresh content, titles, descriptions, images, proper URL structures, and internal linking, off-page optimization focuses on references or links from other websites and mentions on social media platforms. For example, if someone likes an article or blog post on your website and references it from their website or blog, then this tells Google that your page has good content. There are numerous ways to build good links but there are also ways to build bad links that Google will track and penalize you resulting in a decrease in rankings, and we can help avoid this pitfall and build a solid reputation with your customers and the major search engines. Google loves fresh content, so it is extremely important to have articles and media that has been recently published. Every time you make an update to your site the search engines take notice and will rearrange your website ranking. If you want to increase your chances of your site obtaining a higher ranking, you need to frequently update your pages with good quality content. Keep your content standards high; low-quality articles using keyword stuffing and bad links will get you penalized and will decrease your rankings. If you are consistently updating your website with fresh high-quality content Google will love you. 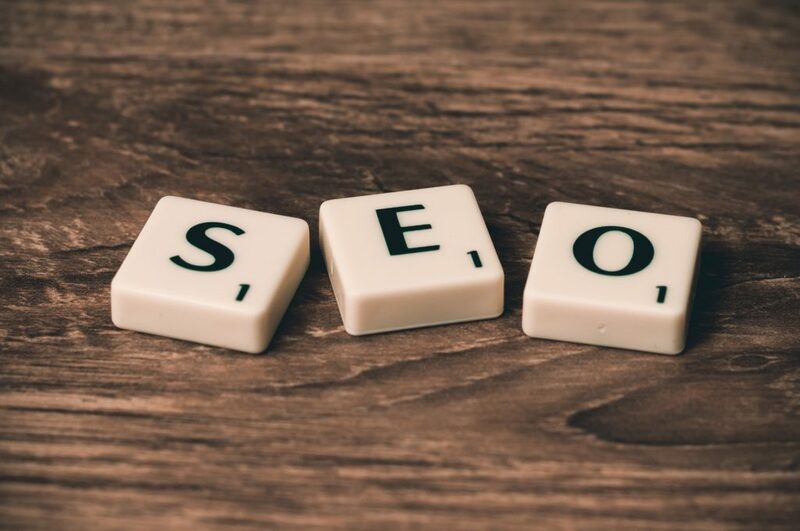 Without adequate SEO tools, it is almost impossible to predict which strategies are working, what exactly is increasing your website’s ranking, or what the weak areas are that need improving. Without concrete information and data on keyword monitoring, keyword research, backlink profiles, site structure analysis or a live rank checker, it is almost impossible to gather reliable information to plan and execute a solid SEO strategy. We have invested in an arsenal of specialized SEO tools so you don’t have to and we will use these tools to help your company obtain high visibility to clients and in the search engines. If you would like to generate more traffic to your website, increase your online visibility, and acquire more leads, then Blue Ridge Technology can help you with your search engine optimization strategy. Contact us today to set up a consultation for a custom SEO campaign for your business.